Restaurants & nightclubs shows:a discounted rate is available for venues that have dancing on a regular basis. Please email or call for an information packet and pricing details. A solo dancer will perform for between 30 - 40 minutes. 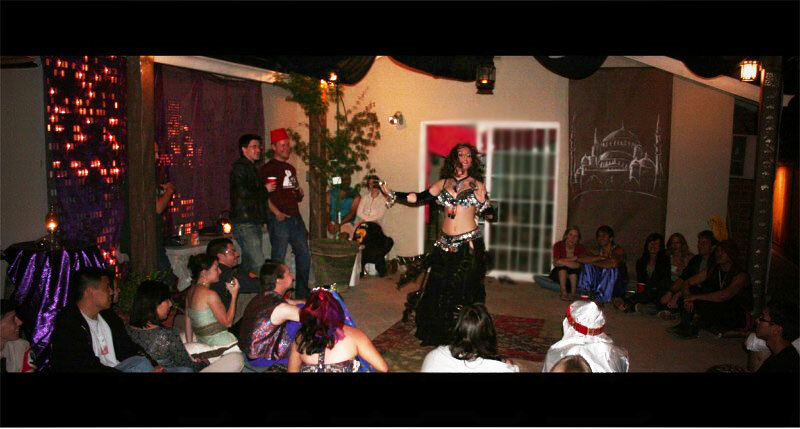 The first half of the performance is a choreographed show with finger cymbals, veils, or sword. If appropriate, the second half of the show is usually more focused on audience participation. 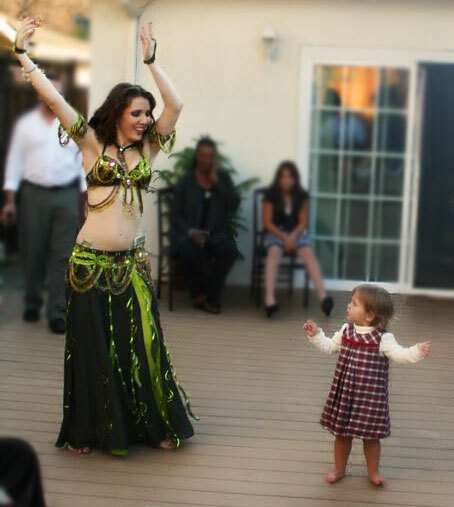 The guest of honor may be asked to belly dance! The goal is to have everyone on their feet and dancing by the end of the show. Two dancers perform! 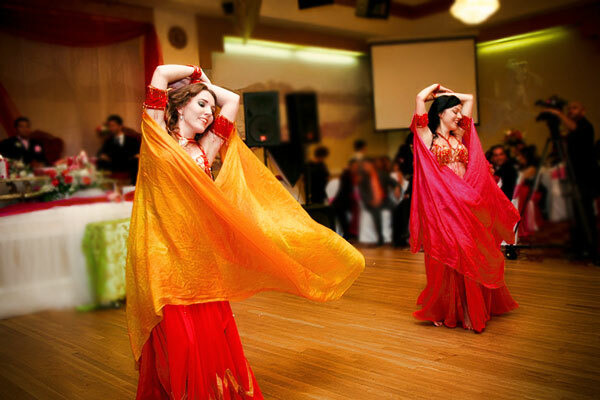 Maria and her dance partner will provide a fun filled evening of tradional belly dance performance and audience participation. Great for large parties, concerts, or corporate events. Larger groups can also be arranged. Please email for duet pricing and availability.